Works as Services Manager at First Psychology Centre, Glasgow. 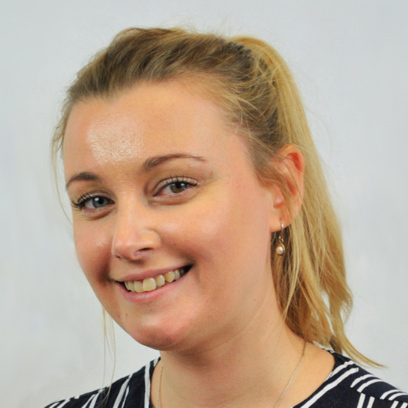 Lara Lyttle is responsible for managing a range of services at First Psychology Scotland. From CPD events to room usage, Lara ensures the smooth running of the centres. Lara has been part of the First Psychology team for several years. Prior to this she gained over 10 years' experience of working in customer service roles in the hospitality trade, with five years of this in supervision and management positions. She has a BSc in Psychology (Conversion for Postgraduates) from the Open University and a BSc (hons) in Architectural Technology from Napier University as well as a First Year Certificate in Transactional Analysis Counselling. In addition she has completed a range of courses with the Open University to enhance her knowledge and understanding of psychology and related fields. These courses cover forensic psychology; autism; mindfulness in mental health and prison settings; addiction and neural aging; and alcohol in relation to human health. She has also undertaken research evaluating whether language influences or determines the way in which we perceive and think. Lara has experience of working in a voluntary capacity. She volunteered with Lothian and Edinburgh's Abstinence Programme (LEAP) for a number of years assisting with the daily referrals and administration, shadowing therapists during assessment sessions and also sitting in on the women's group therapy sessions. Lara was also a former volunteer with First Psychology Scotland assisting with various administration and research tasks before becoming a full-time member of the team. Lara is particularly interested in trauma and resulting addiction as well as autism spectrum disorders and she is keen to develop her knowledge in these areas in the future. Lara's current interests include reading and genealogy.